Here’s a fun fact: Phoenix, with 519 square miles and a metropolitan area many times that size, suffers from some of the least affordable housing in the nation. The big problem in that land of sprawl and a development-based economy is low wages. Indeed, every state lacks enough housing for the poorest renters, people making less than 30 percent of the median income in a region. This places a “severe” cost burden on this cohort, according to research from the National Low Income Housing Coalition. 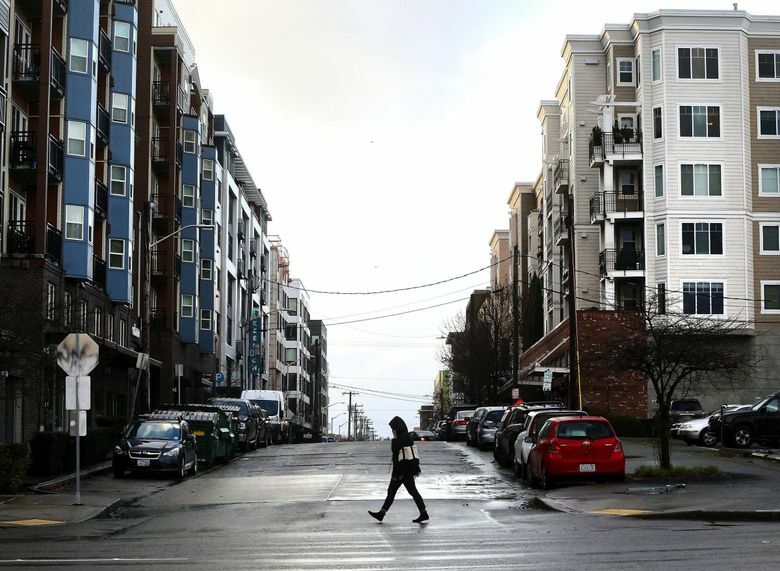 Within the 84 square land miles of its jurisdiction, the Seattle City Council hopes to put a dent in this situation by upzoning 27 neighborhood hubs and requiring developers to include low-income units or pay fees. Now, if you believe the hype implying this will allow everyone among the world’s 7.6 billion people who wishes to live here to afford the rent in Seattle, that it will undo centuries of social injustice, you’re being conned. Supply and demand being what they are, the measure will add more units. At market rates, more supply will at least limit the high costs for renters. But as long as Seattle continues to attract relatively well-off people and add high-paid jobs to a limited land area, it will continue to be an expensive West Coast tech hub. As for extra-low-income and low-income housing, some units will be added by the plan — 3,000 over a decade. But few would be aimed at middle-income renters, such as the “cops, firefighters and teachers” catnip dangled by activists. And many cops, firefighters and teachers want single-family houses with yards and garages. The affordability problem has many causes beyond limited land in a tech city. For example, after the 2008 crash, investment (buoyed by the Fed and other central banks) went into safe havens of multifamily, market-rate construction in the most attractive cities. This benefited higher earners but lacked the breadth of price points of new housing built after earlier recoveries. Overall housing starts are at a modern low for this point in an expansion. Also, construction costs have risen substantially since the 1970s — costs that are passed on to renters. Middle-income jobs have been hollowed out by technology and offshoring of employment. One of the biggest causes is the decline of federal assistance for below-market-rate construction and housing assistance in general. The massive public-housing projects built from the New Deal until the 1970s became untenable. Critics rightly saw them as concentrating poverty and encouraging crime (mostly against residents). But other programs, from the New Urbanist-inspired Hope VI developments to vouchers, failed to keep up with demand. Housing assistance was weakened further during the early years of the recovery. The Trump administration has done even worse. The Department of Housing and Urban Development, led by a neurosurgeon with experience in neither housing nor urban development, raised rents on hundreds of thousands of tenants receiving assistance. Unfortunately, few localities have the means to begin addressing the challenge — this is why it was a federal responsibility for so long. Most of the San Francisco Bay Area, for instance, has little interest in funding new construction at all. Since 2009, it has added 722,000 jobs but only 106,000 housing units. A bill has been introduced in the Legislature to create a regional affordable-housing agency. But it will face the historic strong opposition by residents who want to preserve the character of their cities. Somehow this imbalance has yet to bring down one of the most powerful economies on the planet. And it exists along with liberal attitudes. Seattle is taking a different path. It’s an experiment made possible by the collapse of the old center-left establishment and a roaring economy that makes the city attractive to developers. But better housing policy is a national issue. At the least, it’s regional: Seattle needs to move faster in building rail transit to connect less expensive areas to job centers. Even high-speed rail can help. And real progress will depend on finding ways to lift wages for more people. That’s the heaviest lift of all.